Rabbit anti human POLR2H antibody recognizes the DNA-directed RNA polymerase II RPABC3, also known as RPB8, RPB17, DNA-directed RNA polymerase II subunit H or DNA-directed RNA polymerases I, II, and III 17. This antibody has been extensively validated for western blotting using whole cell lysates. Rabbit anti Human POLR2H antibody recognizes POLRH2, also known as RPB8, RPB17, DNA-directed RNA polymerase II subunit H, DNA-directed RNA polymerases I, II, and III 17.1 kDa polypeptide and DNA-directed RNA polymerases I, II, and III subunit RPABC3. The three eukaryotic RNA polymerases are complex multi-subunit enzymes that play a central role in the transcription of nuclear genes. The POLR2H gene encodes an essential and highly conserved subunit of RNA polymerase II that is shared by the other two eukaryotic DNA-directed RNA polymerases, I and III. Alternative splicing results in multiple transcript variants of POLR2H (provided by RefSeq, Jul 2013). 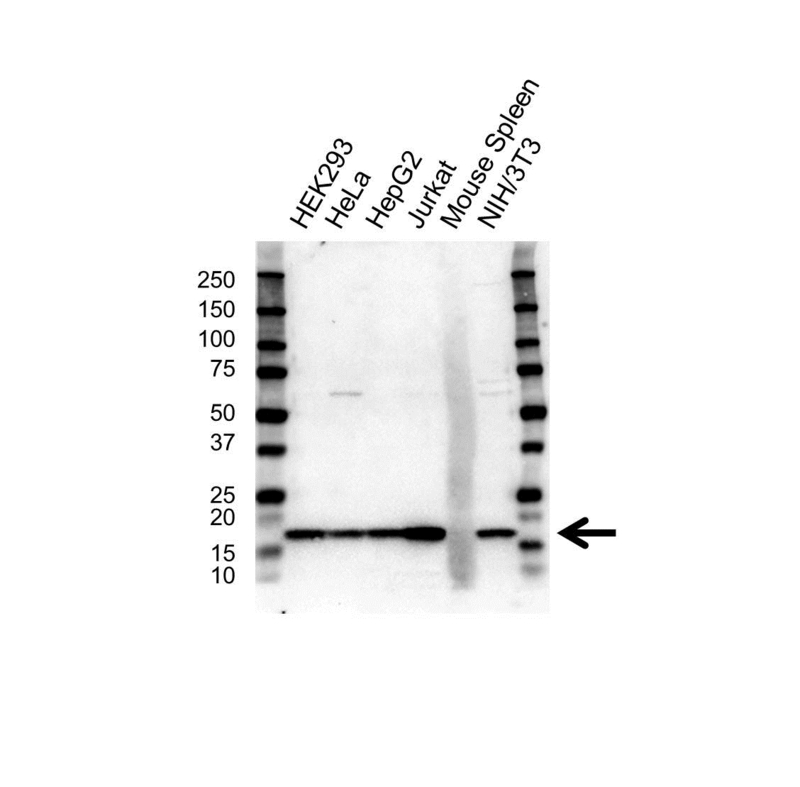 Rabbit anti Human POLR2H antibody detects a band of 17 kDa. The antibody has been extensively validated for western blotting using whole cell lysates.